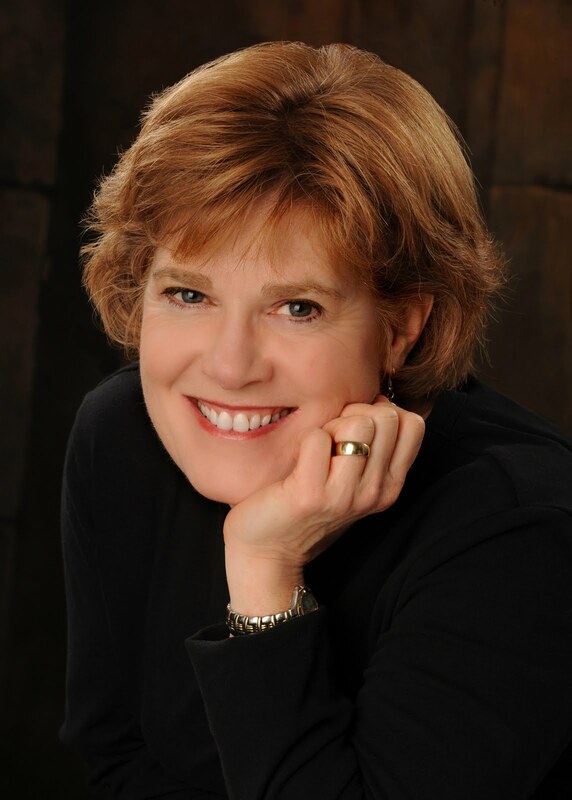 I am super excited today to introduce you all to our guest author, Margaret Mallory. Margaret is a 2010 RITA Finalist for her book, Knight of Pleasure, the second book in her England-set medieval series ALL THE KING'S MEN. But today, she's here to tantalize us with a bit of Scottish history (and a girl after my own heart since her post also happens to be about the Tudors!) 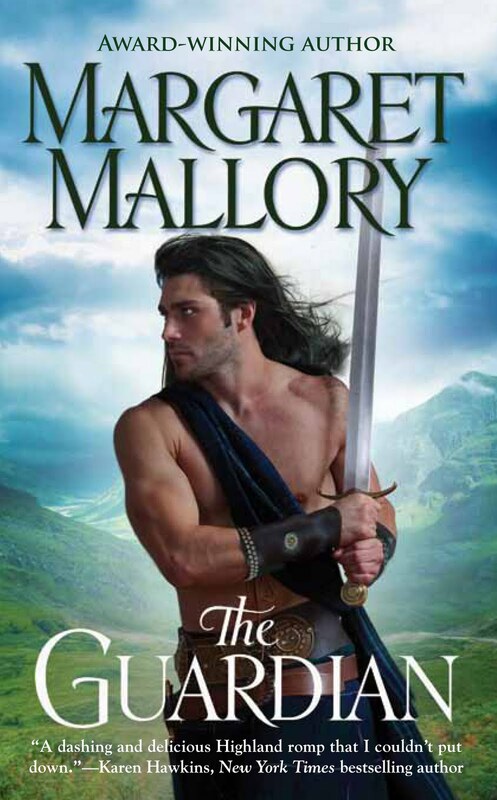 and her NEW Scottish romance series--which I CAN'T WAIT to read! I had the pleasure of meeting Margaret in person last year at the RWA National Conference, as well as enjoying membership with her through Celtic Hearts Romance Writers and Hearts Through History, she is sweet, funny and smart and I look forward to reading her work for many years to come! So, without further ado, I give you Margarget! My new Scottish series, THE RETURN OF THE HIGHLANDERS, takes place during the chaotic aftermath of Scotland’s crushing defeat at the Battle of Flodden. What a difference a day makes. In this case, that day was September 9, 1513, the day the Scots were defeated by the English at Flodden. Before the Battle of Flodden, Scotland seemed to be on the verge of a golden age. King James IV fostered the growth of universities, supported musicians and poets, and built palaces that rivaled those on the continent. The king, who learned to speak Gaelic, even gained the allegiance of the usually rebellious Highland chieftains. For a time, he also achieved “Perpetual Peace” with England by his marriage to Margaret Tudor, Henry VII daughter, in a union hailed as the Thistle and the Rose. 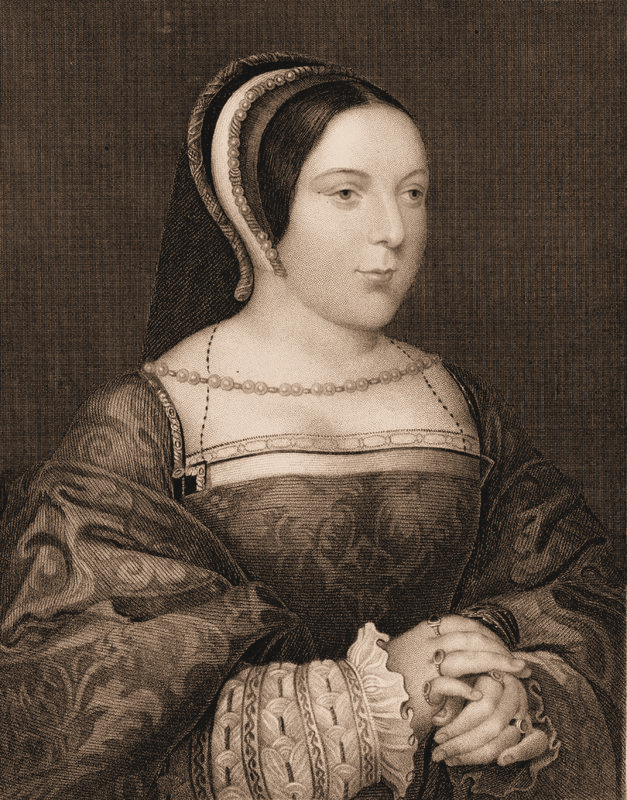 Peace, perpetual or otherwise, proved difficult to maintain with Margaret’s aggressive, younger brother, Henry VIII. When France called on Scotland’s help in fighting the English, James IV honored the Auld Alliance and marched into northern England with perhaps 30,000 men. ﻿The king led the Scots to a crushing defeat at the Battle of Flodden in Northumberland. Thousands of Scots died in the battle. The king, who foolishly put himself in the thick of the battle as if he were an ordinary soldier, was among the many, many dead. His body was so mutilated that there rumors for years that the body was not his and that the king had escaped. Unfortunately for Scotland, the king left a seventeen-month-old babe as heir to the throne. Pro-French and pro-English factions vied for power, and clan chieftains saw an opportunity to increase their lands and influence. The young and handsome Douglas chieftain, the Earl of Angus, charmed his way into the queen’s bed almost before the king’s body was cold. The fact that Margaret Tudor was pregnant with the dead king’s child did not appear to give either of them much pause. 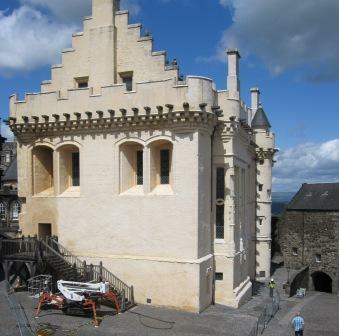 My hero and heroine in THE GUARDIAN, Book 1 of THE RETURN OF THE HIGHLANDERS, meet up with this dangerous pair of lovers on a trip to Stirling Castle. 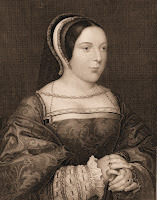 Douglas overplayed his hand when he married Margaret. 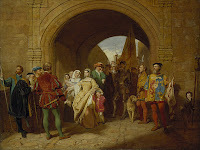 The Council was leery of having their enemy’s sister as regent and was glad for an excuse to replace her with the Duke of Albany, a Stewart who was raised in France. 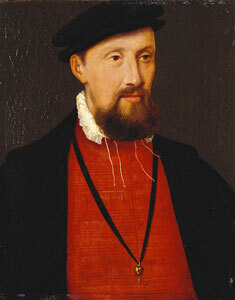 Margaret, however, refused to hand over the royal children until Albany laid siege to Stirling Castle. A number of Highlander chieftains also died at Flodden, although there are conflicting stories as to how many and which ones were killed in the battle. This sudden change in the leadership of several clans added another layer of volatility, shifting alliances, and violence. In addition, the lack of a strong king led some of the Highland clans to rise up in rebellion again. 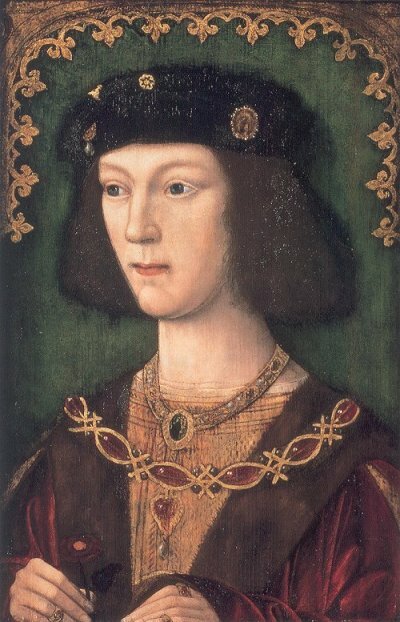 James IV was a Renaissance man, ahead of his time. In addition to supporting education, music, and new architecture, he unified his fractious country, skillfully negotiated European politics, and brought a period of relative peace to Scotland. The four heroes of my RETURN OF THE HIGHLANDERS series left for France five years before the battle that changed everything. As soon as they hear the news of the Scot’s devastating loss to Henry VIII’s forces at Flodden, they hurry home to help their clan through the troubled times ahead. And troubled times they were. 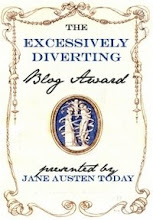 Visit Margaret Mallory at http://www.margaretmallory.com/. Leave a comment for your chance to win a signed copy of Ms. Mallory's new release: THE GUARDIAN!!! Four fearless warriors return to the Highlands to claim their lands and legacies. But all their trials on the battlefield can't prepare them for their greatest challenge yet: winning the hearts of four willful Scottish beauties. After years of fighting abroad, Ian MacDonald comes home to find his clan in peril. To save his kin, he must right the wrongs from his past . . . and claim the bride he's long resisted. As a young lass, Sìleas depended on Ian to play her knight in shining armor. But when his rescue attempt compromised her virtue, Ian was forced to marry against his wishes. Five years later, Sìleas has grown from an awkward girl into an independent beauty who knows she deserves better than the reluctant husband who preferred war to his wife. Now this devilishly handsome Highlander is finally falling in love. He wants a second chance with Sìleas - and he won't take no for an answer. Photos courtesy of Wikipedia, with the exception for the photo of The Great Hall, which was taken by the author, the author's photo, and the cover picture. I can't believe I've just begun reading your wonderful books. Just finished Knight of Pleasure and started Knight of Passion. I was spellbound. Needless to say, I'm now a slavering follower of yours. I can't wait to start this new series of yours! Thank you, thank you for providing me with so much pleasure. The more I read on English/Scottish history and read highlander romance books, the more I fall in love with the era. Thanks for the history lesson! Your book, "The Guardian" sounds intriguing as well as having a very "hot" cover. I agree, Loni. Margaret uses the history as another character. It isn't in the least intrusive. Margaret, I love your books and can't wait for the next series! I can't tell you enough how much I loved the Knight books. And Highlanders are my favorite read of all so I'm very excited to read your new series starting with The Guardian. Thanks for the post Margaret. I'll have to check out Margaret's books. They do sound intriguing. I love English history and romance! Donna, Victoria, & Carol, thank you so much for the compliments on my books!!! 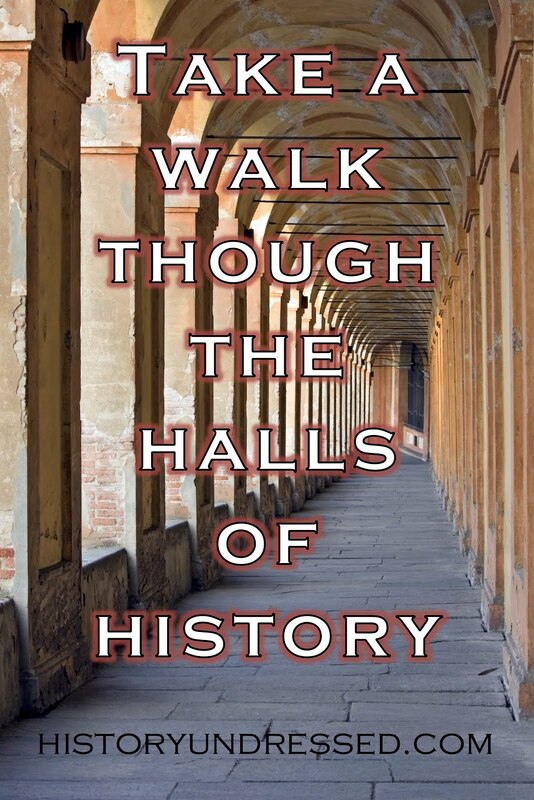 It is a challenge to include enough history to add intrigue and a sense of the times without weighing down the story. Loni, I'm glad you enjoyed the post. Eliza, thank you for that fabulous introduction! Margaret, so excited to read your latest release! I'm working on a novel about James V so this post is particularly ingriging to me! what a fascinating bunch those Stewart Kings are. I've read all of your last series and LOVED them. Getting The Guardian is on my To Do shopping list. Lavada, thanks so much. I love that you love my books, of course! Enjoyed the article very much! It neatly dovetails with my interest in the Earls of Huntley. The third earl married James IV's daughter and their son went on to defeat the English at the battle of Haddon Rig. Margaret, I loved your first series and can't wait to read this new one. THE GUARDIAN sounds amazing! After reading your All The King's Men series, I can hardly WAIT to read The Guardian! Jena & Laurie, thanks so much!! Why invent a turbulent setting for a story when you have one ready made in real life? You have a good understanding of the era, Margaret, and your stories and characters sound wonderfully intriguing. I look forward to reading these romantic adventures and wish you the best with all your writing! I rememhber reading the first few pages of this book at critique group. Those few pages alone had me hooked and I've been anticipating the release of this book for months. Can't wait to delve into it. 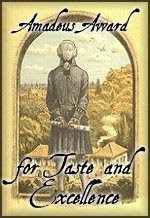 Thanks for posting Margaret, wishing you the best with your book series. Margaret! I cannot wait to read this series!! I love the cover for THE GUARDIAN!!!! I do like adventure in my stories so a period full of conflict gives me a lot to work with. Margaret - Late here, but I love the way that you and I seem to be drawn to flip sides of similar eras. My next series, set on the Scottish Borders, will be set about 15 years later, when that child, James V, finally emerges into his own. And that, of course, means more turbulent times! Blythe, I love it! James V is fascinating. Can't wait for your next series. And the winner of Margaret's book is...... Loni Lynne! Congrats :) And thanks to everyone who commented!! Thanks for having me, Eliza, and congrats to Loni! Congratulations on your new release. I love your books because they give a little history lesson while reading them. I fell in love with your Knight of... series. Even my 13 year old daughter loved them too!